Not again! Now in addition to the sad closing of AMTSJ and the near dissolution of Shakespeare Santa Cruz, The Magic Theatre, a San Francisco and arguably a U.S. theatre institution, may have to close its doors. They are $400,000 in debt and they can't pay their staff. They need to raise $350,00 by January 9th to stay alive, otherwise they are gone for good. Please help! Just give what you can, even if it's just a few bucks. Click here to donate to The Magic. Harold Pinter, the great British playwright, whose unique style had a huge influence on American writers Sam Shepard and David Mamet died today after a long battle with cancer. Pinter was not only a great playwright but also a man of great conscience. He spent the last two decades speaking out against the imperialistic actions of the U.S. and Great Britain. He regularly blasted the U.S. and Tony Blair over their actions in Iraq. His influence on the evolution of play writing in the United States and Great Britain was profound. He was an actor in his younger years, a director, a poet, a novelist, a screenwriter, a playwright and a political activist. He lived a intellectual and passionate life. In 2005 he received perhaps the ultimate honor of his craft in being given the Nobel Prize in Literature. There is a great web site that contains everything you could ever want to know about the man here. The nearly extinct Shakespeare Santa Cruz has caused a national stir in the theater world in successfully raising over $400,000 in just a few days. This guarantees that they will continue for another season. Even in these brutal economic times the value of the arts was recognized by over 2,000 donors. Bravo! "The generous public support to save Shakespeare Santa Cruz has set a shining example for the American arts. This may be a local event, but it has national importance." Another local theatre company may meet its awful end just as AMTSJ did a couple of weeks ago. The latest victim of the troubled economy is Sakespeare Santa Cruz. This gem of a company has been producing incredible work for the last 27 years. Because of the recession, the University of California at Santa Cruz can no longer prop up the theater's mounting deficit. So in order to continue operating the theater must raise $300,000 by Monday, December 22nd. It's very disheartening to see some of our best theaters in the Bay Area in such trouble. I really hope that SSC can be saved. It seems that they need about another $80,000 to meet the goal. If you can afford anything at all go to this web site and give. If it turns out that if they don't get enough money and have to cancel the season, your donation will be refunded. Lets do our part to save this great company. Please watch the wonderful video below of Marco Barricelli, Artistic Director for Shakespeare Santa Cruz, make a heartfelt plea for support. Van Johnson was a performer of immense talent. What a great star he was. RIP Mr. Johnson. Yesterday morning at 10 a.m. several hundred die hard theater fans filled the Geary Theatre to experience the presence of the fabled playwright, John Guare. Guare is most famous for his plays The House of Blue Leaves, Six Degrees of Separation, and Landscape of the Body. His style is witty, funny, and often cruel and startling. The experience yesterday was quite an event to witness. The poor moderator, Michael Paller, who happens to be A.C.T.s Dramaturg and Director of Humanities, barely was able to utter a syllable. Mr. Guare began interviewing himself and never stopped. He spoke with a lucidity and sense of humor that I've rarely seen in any human, let alone a man in his 70s. The only time Mr. Paller was able to actually ask a question was the one time Mr. Guare suddenly had a tinge of guilt for talking so much and the next time when Mr. Guare momentarily lost his train of thought. Beyond that it was all Guare, all the time. And that was fine with me. He is funny! He is thoroughly interesting to listen to. I could have listened to this man for hours and hours. We heard stories of his rise in the New York theatre, his unlikely meeting of Jerome Robins, Leonard Bernstein, and Stephen Sondheim. We heard about his start at Cafe Cino with other budding playwrights and artists such as Al Pacino, Bernadette Peters and Sam Shepard. All the stories were told with humor wonderful detail. 1. Do what you love in life. Mr. Guare said that is father once told him, "son, never work for a living". His father worked on Wall Street and told a young John that the only time he ever felt at peace was the interval of time from when he hit his alarm's snooze button to the moment his feet hit the floor in the morning. His father was a wage slave and he warned John to never become one himself. 2. Take charge of your own artistic life. A woman in the audience asked how young people, such as those in the M.F.A. program at A.CT. could find a life in the theatre. Mr Guare quickly responded that one must take charge of one's own artistic life. He said a theatre company need only be a group of theatre artists who laugh at the same jokes. Like at the Cafe Cino, all you need is an audience and a few cubic feet of space. 3. Remember that all acting is for the audience. Mr. Guare cannot stand plays that seem to ignore the existence of the audience. He emphasized the need to include the audience. It's why his characters often break the fourth wall and why they sometimes spontaneously break into song. Bring them to you and involve them fully no matter how large or small the space. 4. Trust your subconscious. Mr. Guare spends time every day just walking along the beach and allowing himself to free associate. It's how he came up with solving the problem of his play (1974) Rich and Famous. Allow your mind to do it's work. Trust your artistic impulse. Relax. So go see Mr. Guares updated version of Rich and Famous at A.C.T. ! I have a feeling it will be a great show. The cast is marvelous. Playwright Bing Ringling yearns to savor the sweet taste of celebrity, and he's hoping play number 844 will be his lucky break. But on opening night, Bing slips into a nightmarish phantasmagoria that shows him just how wrong things can go. From the ingenious mind of John Guare, who brought Six Degrees of Separation and The House of Blue Leaves to the American stage, Rich and Famous springs to life with twisted humor, rapid-fire dialogue, and outrageous new songs freshly scribed by Guare himself. A.C.T. welcomes this newly revised, delicious dark comedy-directed by John Rando (A.C.T. 's Urinetown, The Musical)-in its first major revival since its 1976 New York debut. Tickets: $14-$57 previews; $17-$71 Tue.-Fri. & Sun. evenings; $22-$82 Sat. evenings and weekend matinees. Tickets are available through A.C.T. Ticket Services, 405 Geary Street at Mason, 415.749.2228, and online at www.act-sf.org. All you actors out there who wonder how a place like A.C.T. casts its shows, should go check out the A.C.T. blog. 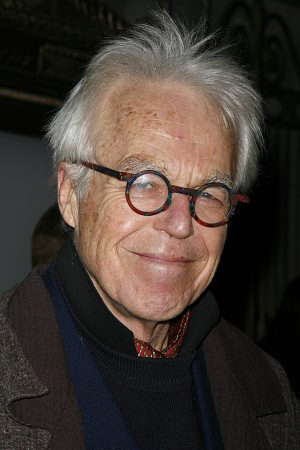 The latest post chronicles the process they went through to cast the John Guare play, Rich and Famous. The interesting thing to me is that all of the actors were cast based on recommendations and personal reputations. None of them seemed to be cast from an audition. I always suspected this was usually the case at places like A.C.T. and Berkeley Rep.
or you need to know the director and she needs to WANT you in a role (he or she has to get sign-off from both Carey Perloff and the playwright) or you need to have some great New York credits with a recommendation from someone Carey Perloff knows well and respects. It's a tall order. So, why I ask does A.C.T. have general auditions for local actors who are members of Actors Equity? My guess is because the have to. I believe it's simply something they have to do to stay in compliance with the union contract. Will I continue to audition at A.C.T. ? Of course I will! The actor's job is to audition and to keep trying no matter what the odds. You never know who may be auditing the audition from another company. That person may imagine you in a role at a smaller theatre like the Aurora. Maybe you blow them away there in a show Carey comes to see. Maybe you get A.C.T. 's attention. Maybe a director from an off-Broadway production of a new play is in town and asks you to read for a part. Maybe that play is a huge hit. Maybe you get on A.C.T. 's radar in New York with their casting affiliate there. Maybe they give you a chance. Maybe you get a part in an A.C.T. play in the year 20025! Now you want something fun to do this Christmas? Go see A Christmas Carol at A.C.T. Everything I just wrote doesn't apply. It's full of local talent. After the shattering news that Atlanta's Theatre of the Stars had to cancel "Tarzan" the musical after taking hundreds of thousands in investment money from AMTSJ and a Dallas company, the show is still listed on their web site's season page. I am sure they just haven't gotten around to updating it yet, but in an article I found in The Atlanta Journal-Constitution, it seems that AMTSJ may have jumped the gun a little . The president of the Atlanta theater, Nick Manos, says this, “We realize there are other theaters that were affected by this, and we were working with them behind the scenes on solutions. San Jose apparently took matters into its own hands and sent out a press release [on Monday]." Could it be that they Manos was actually going to try and come up with a financial solution, but because AMTSJ made it public right way, Manos was rendered ineffective? How would AMT's action of sending out a press release, prevent the theatres from salvaging the situation. AMT certtainly couldn't just lay off all of there employees without making some kind of public statement. The fact is the economy is nailing everyone now and the arts are going to be hurt badly. The Atlanta company was merely trying to save it's own skin. As reported yesterday by the San Francisco Chronicle, American Musical Theatre of San Jose has filed for Chapter 7 bankruptcy. Plagued by debt over the last number of years, AMTSJ has finally had to close it's doors because another theatre company (Atlanta's Theater of the Stars) backed out of a joint production of "Tarzan". This is a very sad day for me as a Bay Area actor. AMTSJ has been a constant producer of high quality, big budget, Broadway style theatre for many years. Although they strayed for a few years, in recent years they have consistently hired local Equity and non-Equity actors. The production values are always very high and, in my experience, it has been a wonderful place to work. I don't understand why some of the big companies in the South Bay didn't step in to help save AMTSJ, or why the City of San Jose doesn't do something to keep them afloat. Isn't there an organization with deep pockets that can do something to save this vital institution?